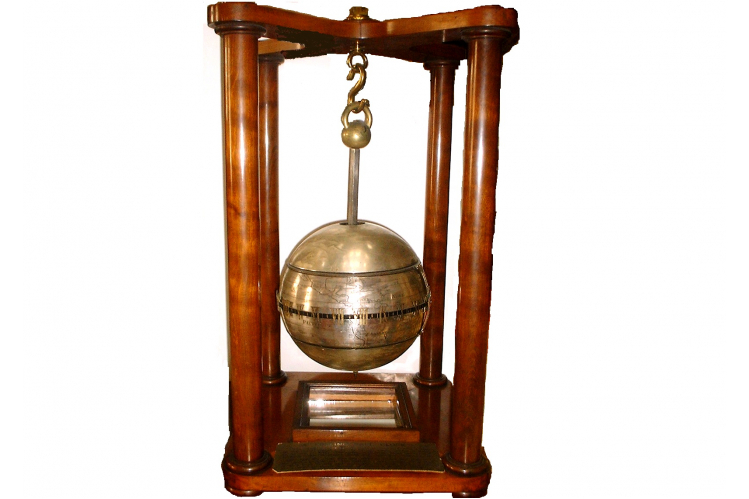 £2,000 still needed to bring the Society's 17th-century Falling Ball Clock back to life. four-pillar stand with mirrored based to show the lower dial engraved ‘Vulliamy’. Benjamin Lewis Vulliamy (1780–1854) donated the clock to the Society in June 1850. 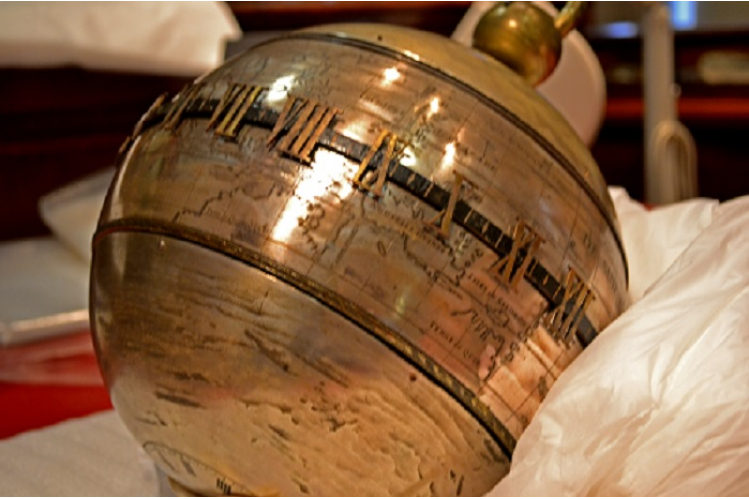 He was known for ingenious alterations of historic clocks, and had carried out modifications to the Society’s clock prior to its donation, which included replacing the top and bottom portions of the globe with plain metal featuring no engraving, along with a new dial and hand. The Vulliamy family of clockmakers were highly important makers and are considered amongst the leading manufacturers and innovators in horology. The clock is in urgent need of repair to conserve the materials of which it is constructed, and to ensure the mechanical operation of the clock movement. 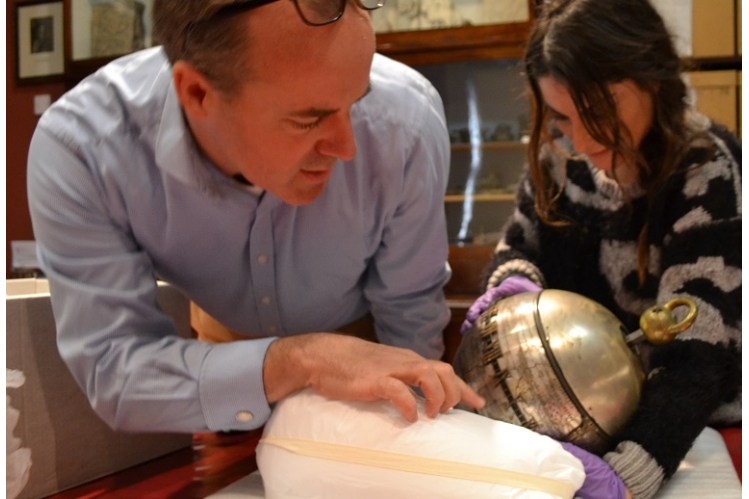 We have launched a public appeal to raise the £2,000 necessary for its conservation so that it can once again go on public display in the Society's Library at Burlington House (London).